Paal Pac 65, image supplied by and copyright of Kadant. As a cardboard packaging manufacturer, we are always looking for ways to improve our own environmental credentials in terms of operating efficiently, saving energy and reducing waste. Our move to new premises last year very much marked the beginning of a new era for Westbury Packaging and one of our key aims was to upgrade our environmental performance. Since then we have invested in a number of measures to reduce waste and increase energy efficiency. These measures have also had the added advantage of boosting our productivity and efficiency as a whole. Previously, we had a manual compacting system for all of our cardboard waste which was very labour intensive and created a lot of dust and noise. The waste was then collected by a recycling company. Due to the volumes collected, the recyclers had to collect 2 -3 times per week. 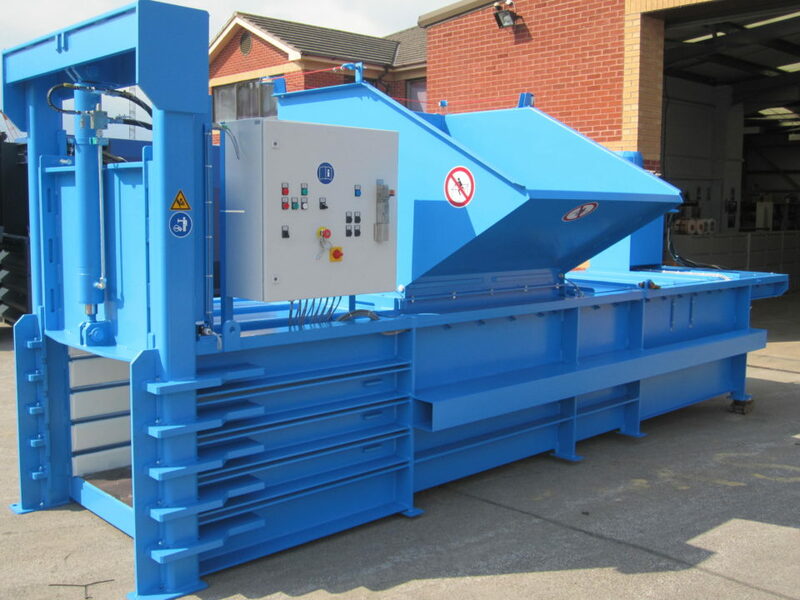 We have now invested in a fully integrated waste conveyor belt system from each of our main machines & these belts feed waste board into a Paal Pac 65 closed end semi-automatic baler which bales the waste into mill sized compact bales. The efficiency in baling rather than compacting means that the recycling partners only need to collect from us approximately once every 2 weeks. We have replaced the pre-existing fluorescent strip lighting in the offices and boardroom, upgrading to LED lighting and have already made substantial energy savings. The new lighting is integrated with Proximity sensors & illuminates instantly to provide a much brighter working environment. Flicker and glare-free LED lighting has also been proven to promote staff performance and well-being. In order to reduce the impact of ink discharge into the environment, we are implementing a recycling system whereby all residual ink is collected in drums or barrels and taken away by a contractor to be put through a recycling process. During this process, all ink is recycled to black ink which is then reused. This system should be up and running by May 2018. We will soon be implementing a telemetry system to manage our fleet of forklift trucks. There are many benefits to this system which will wirelessly connect our fleet to a central database where efficiency, health & safety and fuel consumption can all be monitored. The new system will help us to optimise fleet efficiency and reduce fuel consumption, improving our carbon footprint. It will also encourage safer and more productive ways of working. Following on from successful lighting upgrades across our office space, we plan to replace all the lighting in our factory with LED solutions over the next year. We are confident that this will improve the working environment for our staff and reduce our overall energy consumption yet further. If you would like to know more about our environmental credentials or about eco-friendly packaging solutions, please get in touch.